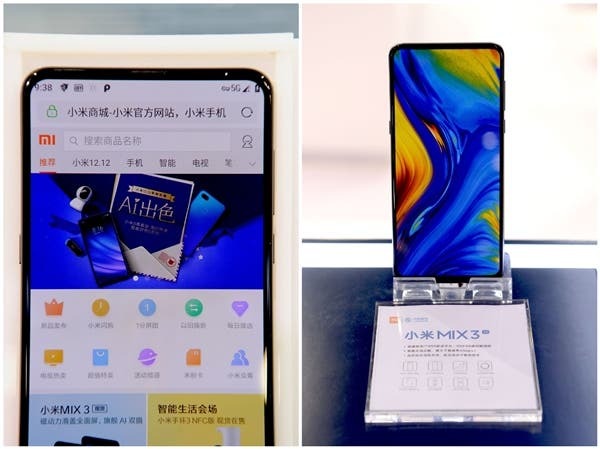 Earlier today, we reported that Chinese manufacturing giant, Xiaomi, has released the first 5G smartphone which is the 5G version of the Xiaomi Mi MIX 3. Following the release of the Snapdragon 855 SoC which supports 5G technology, there is currently a race for who will first introduce this chip to the market. It is believed that OnePlus is in line to do this but with the surprise announcement from Xiaomi, it appears that its an open field of play. Since the announcement of the Xiaomi Mi MIX 3 5G version, the company has been showcasing some salient abilities of this smartphone. Xiaomi just released a demo video which shows the Mi MIX 3 5G version controlling a bedside lamp. The company described the control as “perfect” and from the demo video, we can see the lamp turn on/off and adjust colour intensity. The design of this smartphone is consistent with the regular Mi MIX 3 but the processor has been upgraded to the Snapdragon 855 which integrates the X50 5G baseband and achieves a peak network speed of 2Gbps. The Xiaomi Mi MIX 3 5G version will be listed in Europe in the first quarter of next year. As early as 2016, Xiaomi set up a 5G pre-research team to conduct comprehensive and in-depth research on the 5G standard in advance. At the beginning of 2017, Xiaomi officially launched the design of 5G mobile phones. In September 2018, Xiaomi took the lead in opening up 5G signaling and data link connections, laying the foundation for 5G commercial use.